Garlic is an important crop in Maine for over 70 commercial growers representing all 16 counties (http://www.mofga.org/). Most garlic producers in Maine are market gardeners producing many crops. However, the contribution to farm income from garlic is disproportionably large when compared to the area planted. There are several garlic growers in Maine that have over 80 percent of their farm income from garlic. Preliminary research done by the investigators has suggested that planting large cloves will yield correspondingly large bulbs and greater yields and small cloves yield small bulbs and smaller harvests. It is common practice for farmers to sell their larger stock due to buyer preference, but this practice leaves the famer with small stock to plant and probable reduced yields and profits. 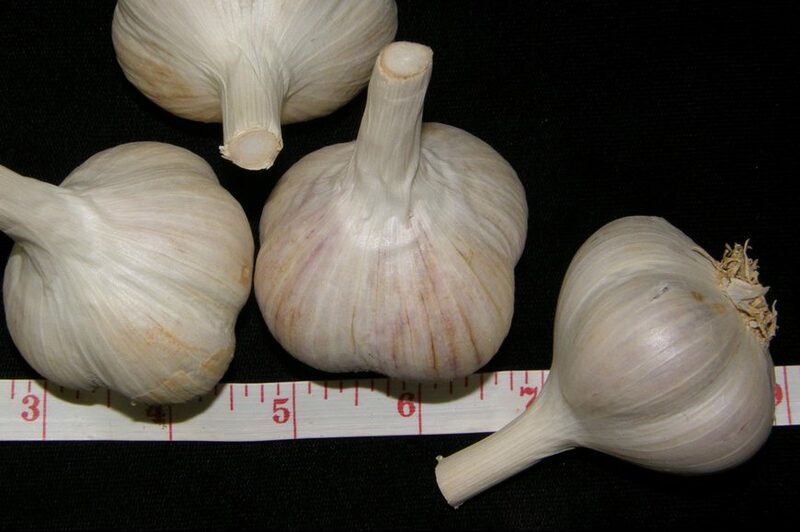 However, the relationship between the size of a planted garlic clove to the size of the bulb harvested has not been firmly established in Maine. This study will help to establish planting stock recommendations; effect a change in farmer practices; help to establish a pricing structure based on garlic bulb size; and increase farm profits.